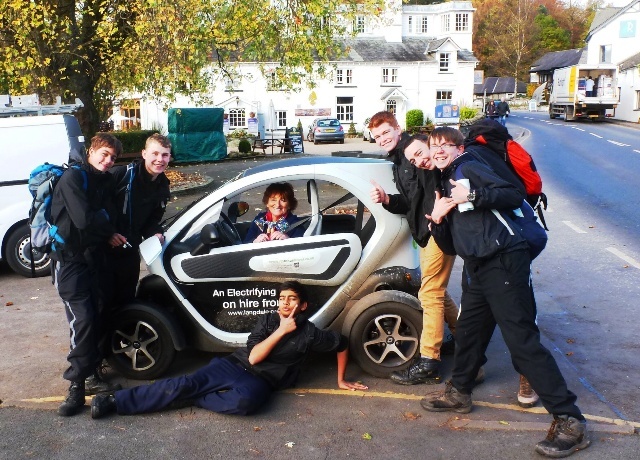 The Twizy is quite simply fantastic fun on four wheels. It’s a tiny electric car that thinks it’s a Ferrari. And when you drive one you’ll get as much attention, if not more, as if you were driving one of the most iconic cars in the world. 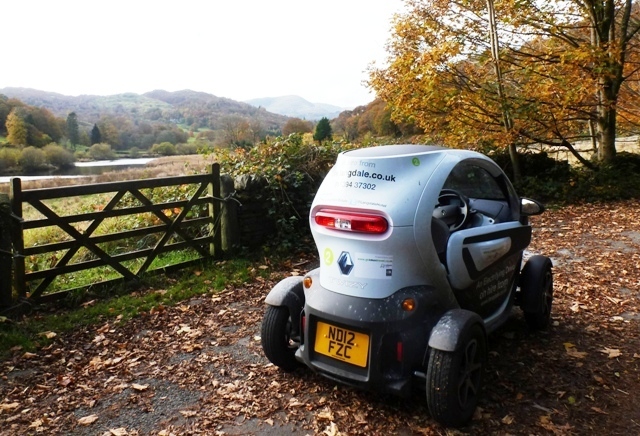 For the sixth of the ‘Challenge Zoë’ adventures for the Kendal Courier I whizzed off round the little lanes of the southern Lake District to test it out. Here’s the article that appeared in the December edition of the magazine. “Oh, it’s adorable! What is it?” The American woman’s response was typical. 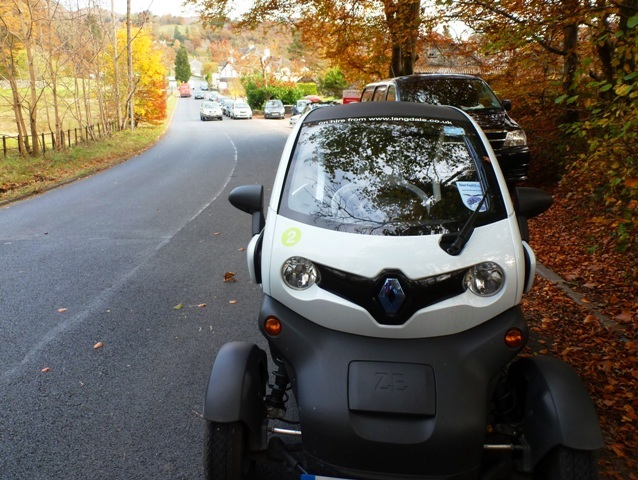 Everywhere I went in the Twizy, people smiled, took photos, and wanted to have a go. I explained that it was an electric car and yes, of course she and her friends could all take photos. Then I was off again on my silent way through the lovely lanes of the Lake District. 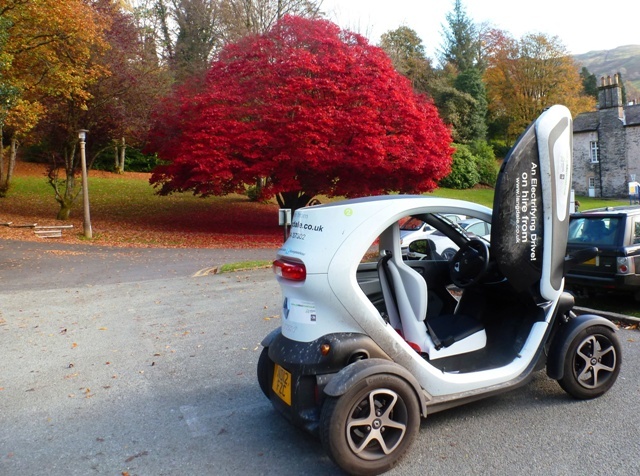 Guests at the hotel can hire a Twizy for £10 per hour. 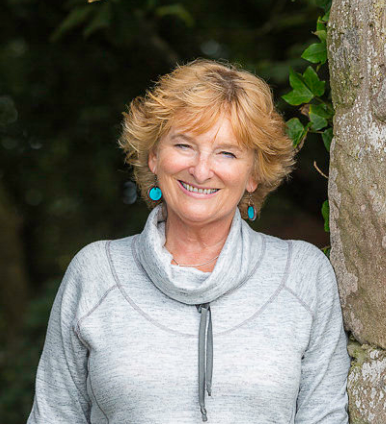 They are part of Cumbria tourism’s Go Lakes ‘Drive Less, See More‘ transport initiative which includes lots of interesting ideas about how to travel around the Lake District. 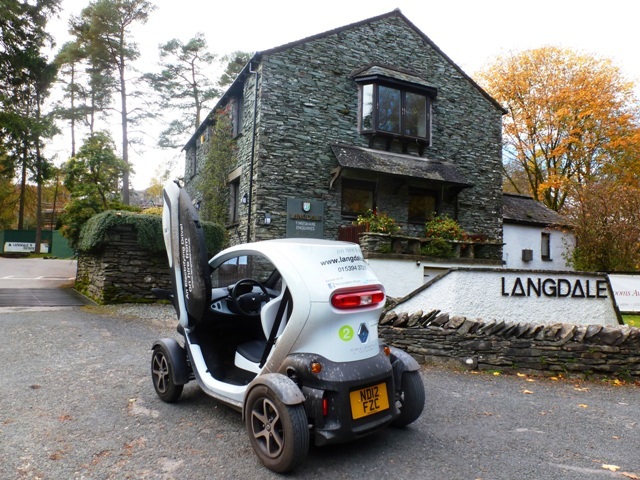 The Langdale Estate leases the vehicles from Co-Wheels Car Club which provide an eco-friendly alternative to private car use. When I parked near the ferry at Ambleside, people gathered round, asking questions and taking photos. As I pushed up the gull-wing door to get out, there was a little “Aaaah” from the audience. A group of Air Cadets insisted on having their picture taken with me holding a mascot and they had lots of questions. Yes, you can charge it from an ordinary plug, top speed’s about 50 miles per hour and yes, it is a bit chilly with no windows so wrap up warm. 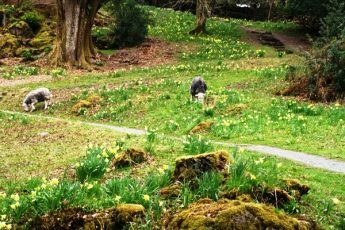 And there are a number of places in the Lakes where you can hire them. But be warned – you won’t go unnoticed. This tiny vehicle really has got the X-Factor and it is so much fun to drive! You can read more about my stay at the luxurious Langdale Hotel here. This looks like marvelous fun. 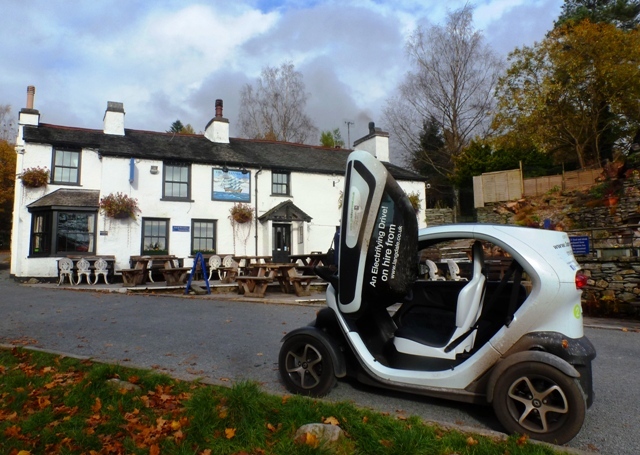 I would love to give the Twizy a go in the Lake District. Definitely great fun Rob, Sonya & Renate! Easy to manoeuvre Dan – if I can park it anyone can 😉 Thanks for the opportunity to do so many fun things in 2012 for The Kendal Courier … Maybe try some new adventures for you some day.